With technology constantly advancing, the standards created for those technologies also change quickly. In the case of computer storage, in the span of just a few years we have gone from IDE to SATA, SATA II, SATA III, and now new mSATA drives are beginning to hit the market. For some people, it is not feasible to constantly upgrade their computer every 6 months just to keep up with these standards, and would rather keep their old computer and adapt the new technology to it. 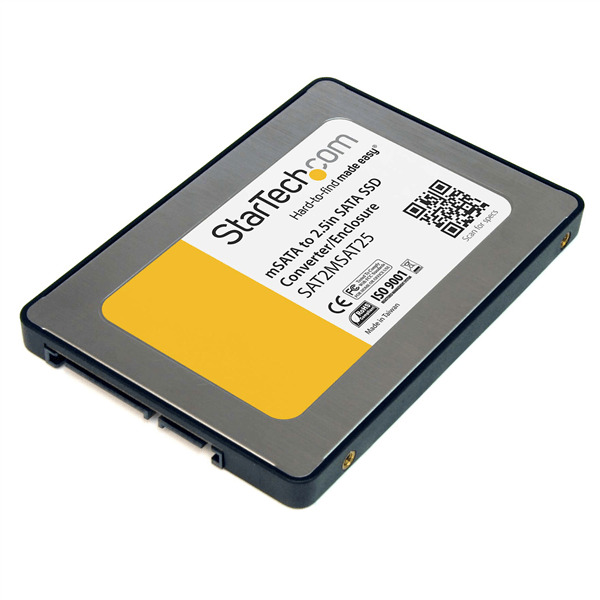 Today we are taking a look at the StarTech mSATA to 2.5″ SATA enclosure, which should be able to help you in that situation. We would like to thank Tiger Direct for sending us the StarTech mSATA enclosure.